2016 NYC Trip Photos #20: Imagination in Motion « Midlife Crisis Crossover! Me whenever Republicans and Democrats bend over backwards to rationalize their appointed idols. The morning of Day Five, we set forth on an ambitious journey to do something completely different: we took a subway out to Queens, our first time stepping foot into any New York City borough besides Manhattan, unless you count our landing at LaGuardia. All it took to lure us beyond Manhattan’s river boundaries was a museum dedicated to the preservation and contextualization of works and universes that usually keep us entertained and fixated within our living room boundaries. Part of an arts district attached to Kaufman Astoria Studios, which we totally missed because we came at it from the wrong direction. I blame the subway system. 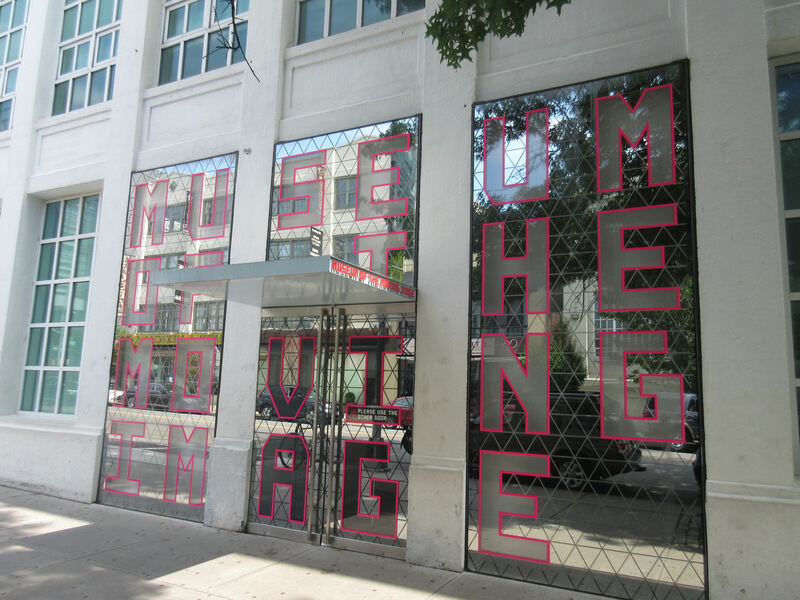 Located in Astoria a few blocks from the Steinway Street station, The Museum of the Moving Image houses collections and screenings across any and all major media that involve moving pictures, and not just movies and TV. 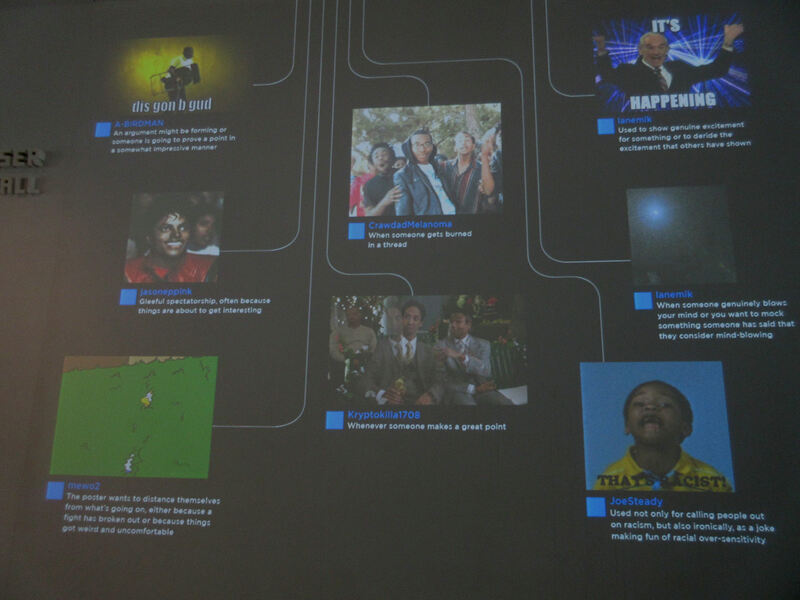 As soon as we walked in, the first display across from the admissions desk was a projected montage called “The Reaction GIF: Moving Image as Gesture”. Chances are if you’ve ever inhabited a message board, Reddit, Twitter, or the internet in general for more than fifteen minutes, you’ve seen some of these classics used and reused ad nauseum. The oldest artifacts date back to the early twentieth century, not long after humanity realized you could flip through multiple still photos and create the illusion of movement. 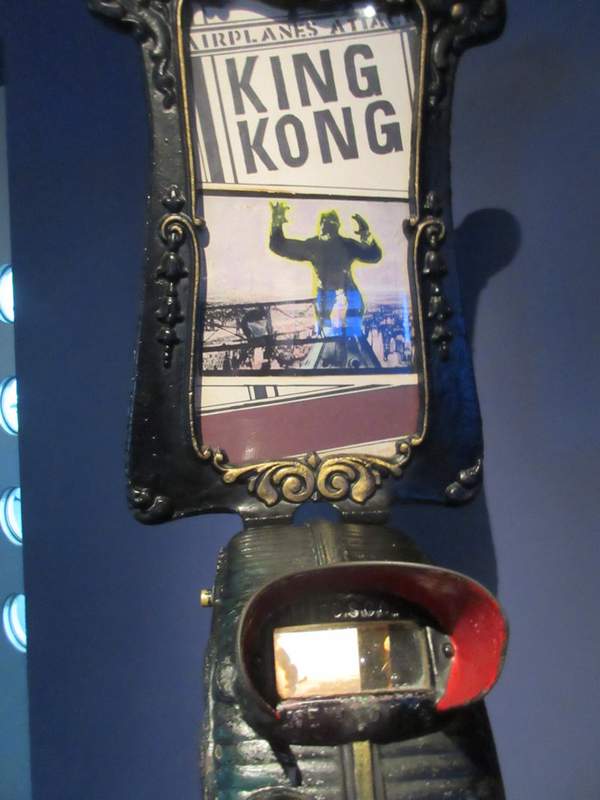 Kinetoscopes like this one let visitors pretend they’re their own great-grandparents, watching scenes from their favorite movies like a primitive YouTube without the annoying ads. 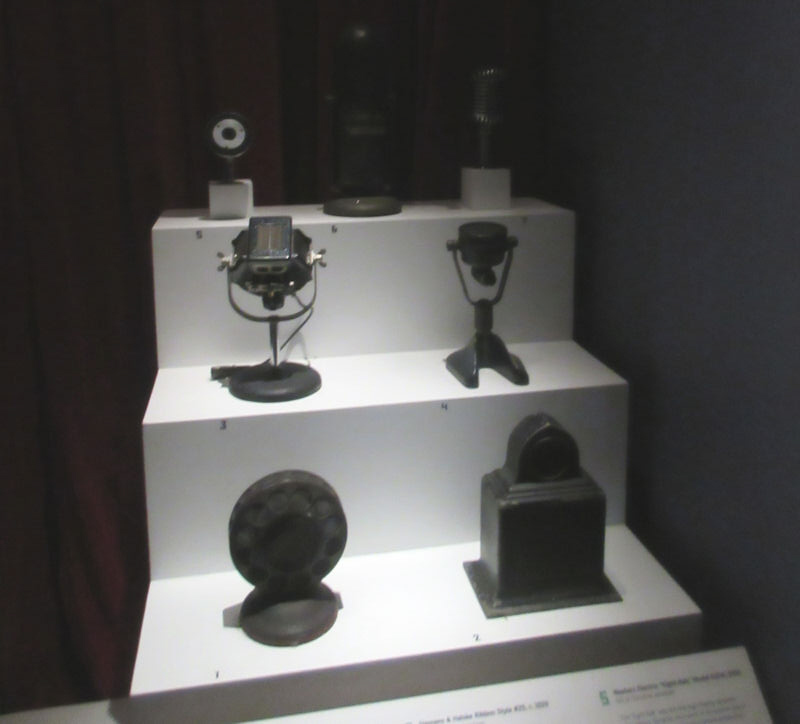 Fans of Bioshock Infinite should be familiar with these devices. 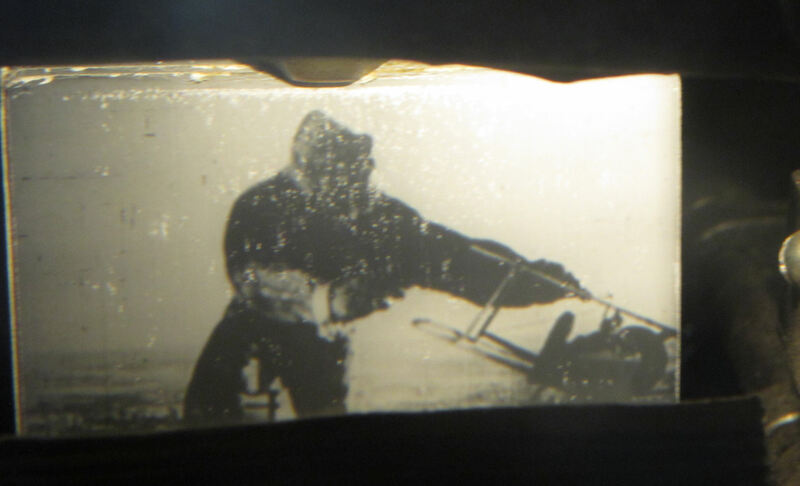 Exclusive grainy kinetoscope footage not scheduled for a Criterion remastering anytime soon. For fans of cinematic technology, one section is like a factory showroom of cameras, TVs, and other technological tools necessary to the advancement of cinema and film-geek arguments. Microphones: the unsung heroes of every recording studio and set. As an anthropological simulation of the American viewing habitat, one area is furnished like an undersized family room whose centerpiece is a TV playing Spider-Man and His Amazing Friends on a loop. 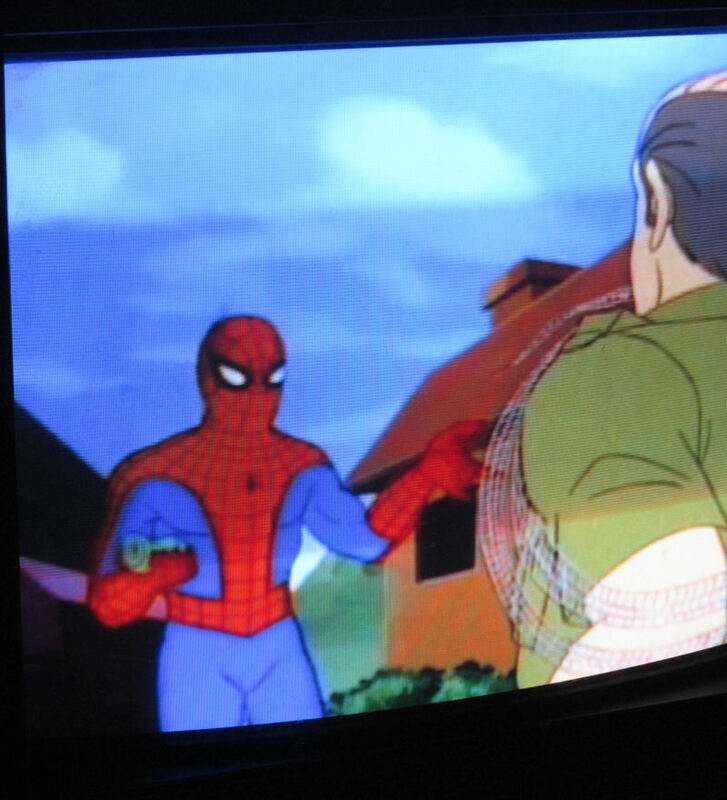 Today’ apropos episode: “Spidey Goes Hollywood”, in which Our Heroes get suckered into making a movie with Mysterio. 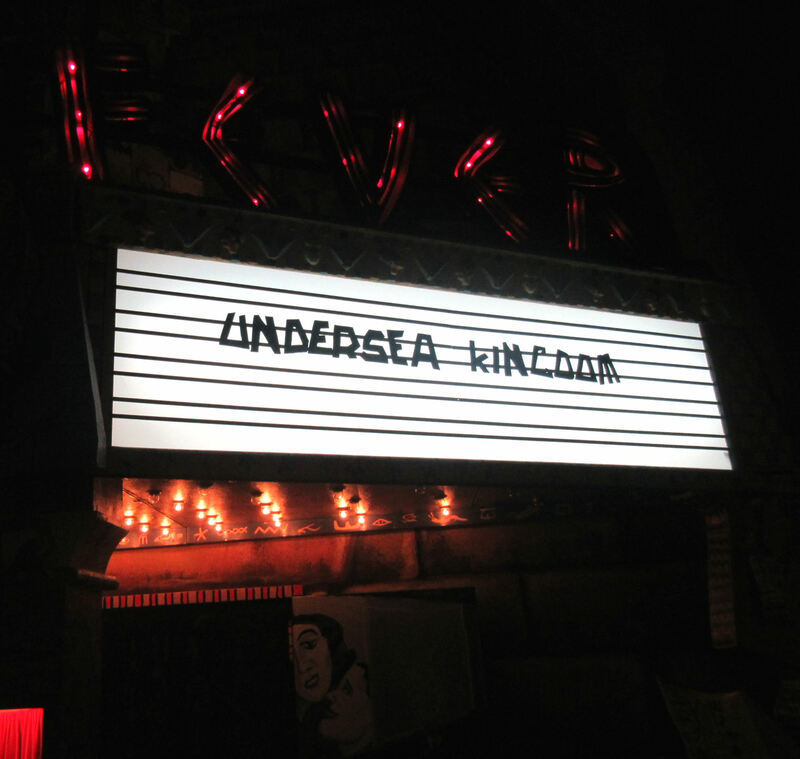 We weren’t sure if this construct, covered in bizarre murals and colorful dioramas, was an art installation or an actual theater. Later I learned the screen inside worked, but wasn’t scheduled to show anything till after we took our leave. Today’s feature: the Republic serial Undersea Kingdom, chapters of which were shown and lampooned in early seasons of Mystery Science Theater 3000. 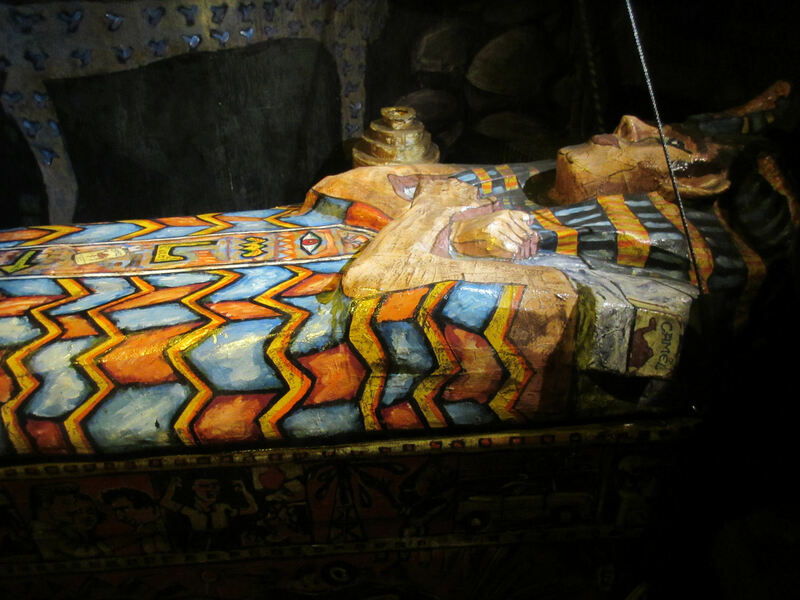 A twisty passage near the rear of the “theater” led to a hidden backroom with a fake mummy in it. 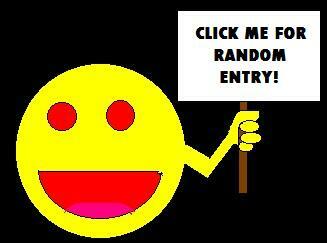 I have no idea why. Another educational collection spotlights heavy-handed TV and movie marketing, which were a thing at least as far back as the 1940s and not just a soulless corporate invention within your lifetime. Some toys were cooler than others, as the companies of yesteryear would merchandise the strangest things by modern standards. My wife had a few Mego figures in her time. 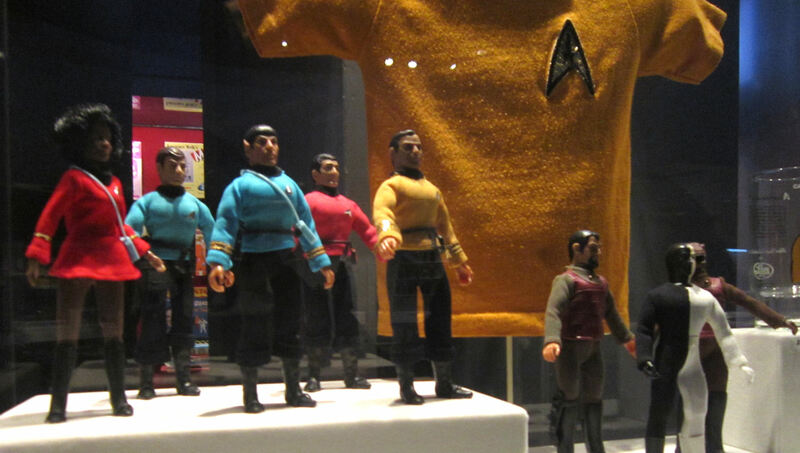 Older fans might remember many of them, including these Star Trek figures, from the pages of Toyfare magazine. 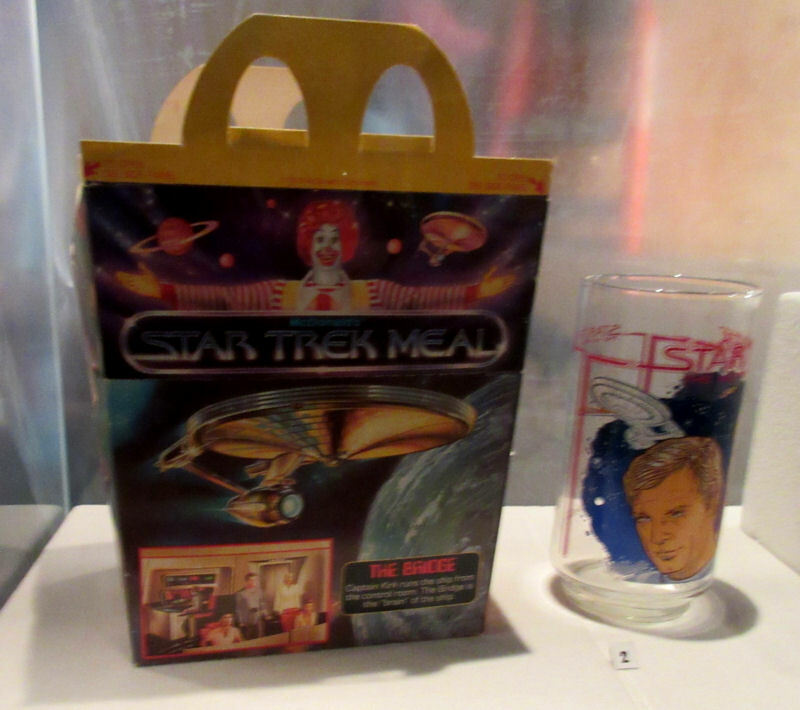 Kids who fell asleep watching Star Trek: The Motion Picture in theaters had the privilege of heading straight to McDonald’s later (if they could wake their parents up) for a Star Trek: The Motion Picture Happy Meal, though Lord knows why they would’ve. 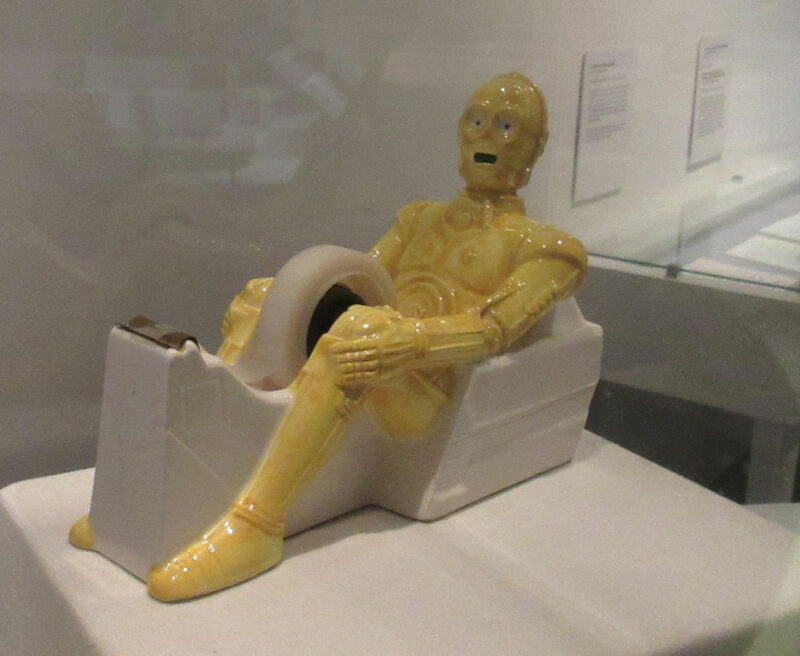 C-3PO is fluent in over six million forms of communication and can say “unpleasant sensation” in nearly all of them. 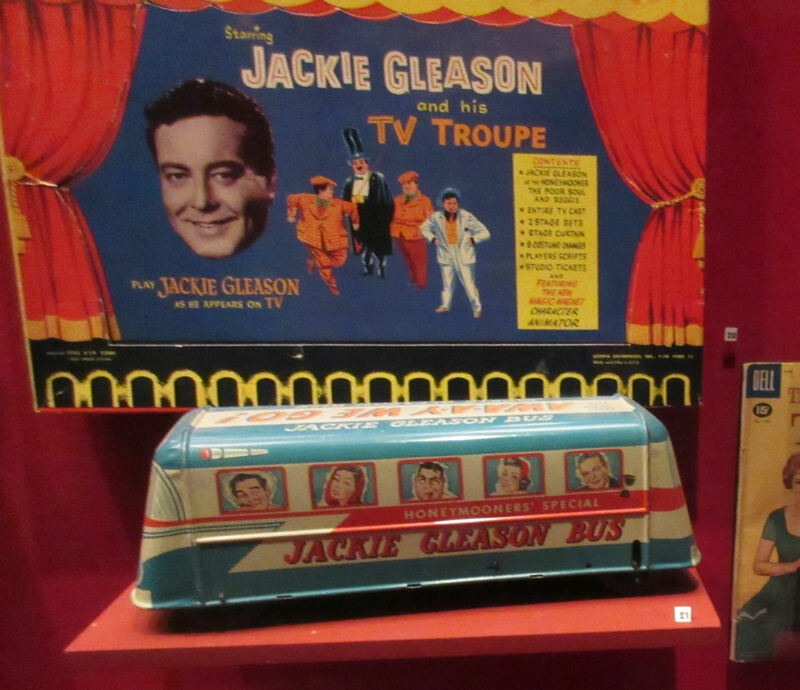 Kids desperate for role models could play with their Jackie Gleason toy bus or use their own Jackie Gleason puppet theaters to stage off-Broadway adaptations of their favorite Honeymooners episodes. 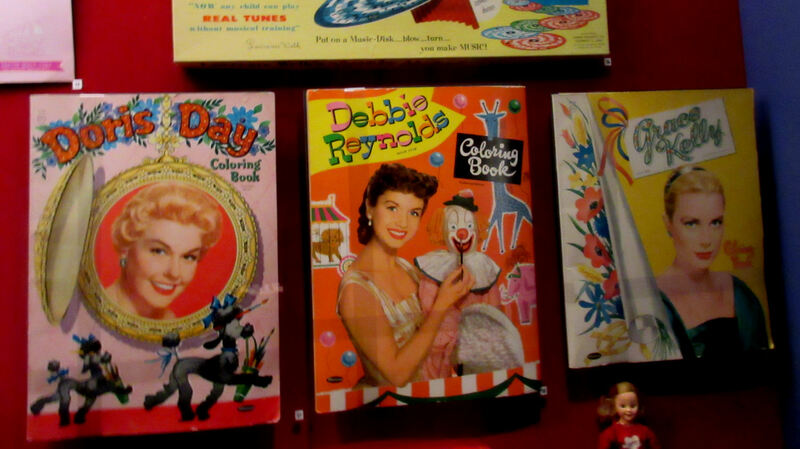 If you were a Hollywood actress who didn’t have her own line of coloring books, you were nothing. We’re looking at YOU, Tallulah Bankhead. 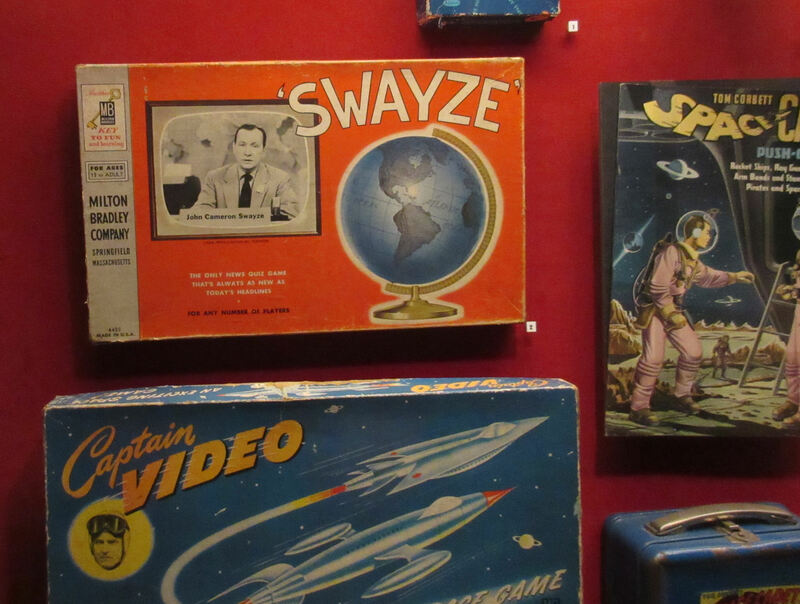 At last, it’s SWAYZE: THE BOARD GAME. No, not that Swayze. Patrick’s sixth cousin John Cameron Swayze was a TV newsman in the ’40s and ’50s. Can you magine one of these reformatted as MATT LAUER: THE BOARD GAME? I’d prefer not. 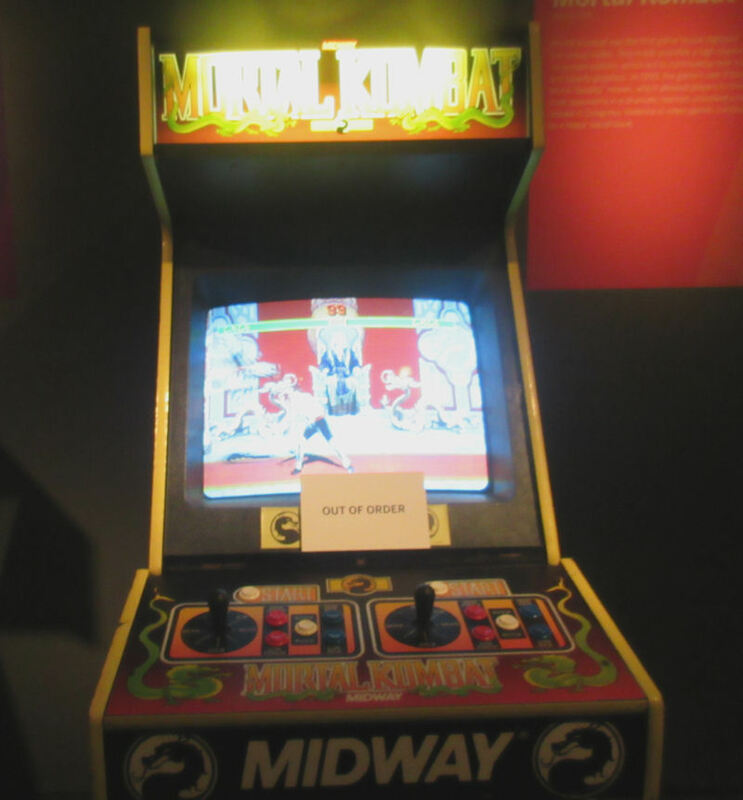 The second most important section in the Museum is, in this impartial faux-journalist’s informed opinion, the video arcade. 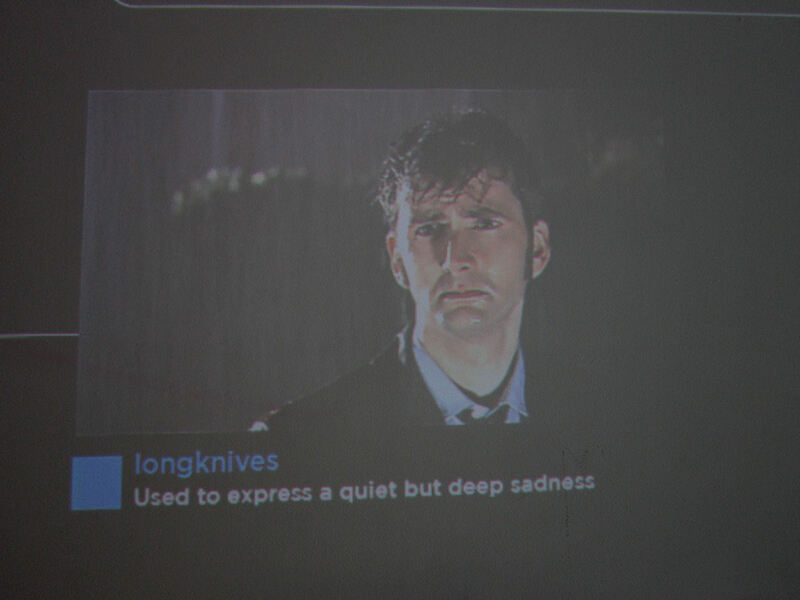 Remember, video games also have moving images and are therefore on-topic. Their selection of old-school cabinets from the ’80s and ’90s kept me and my son rather occupied for perhaps a few minutes longer than they should’ve. They’re not free, but at the retro price of one quarter per game, they’re the best deal in town, particularly for a setting that represents a notable part of my childhood. 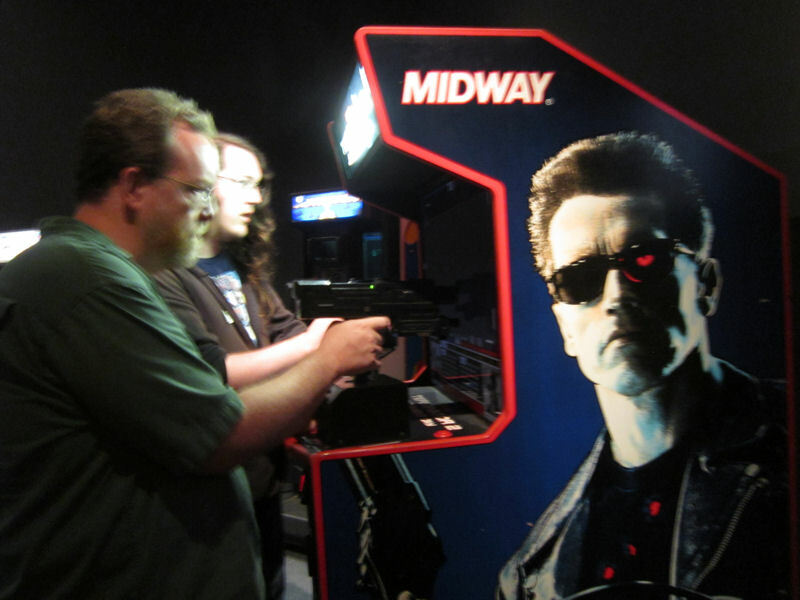 Father and son teaming up against Terminator 2: Judgment Day, but twenty years later I still can’t get past the annoying runaway truck sequence. It wouldn’t be an authentic arcade without at least one game malfunctioning and awaiting repairs. 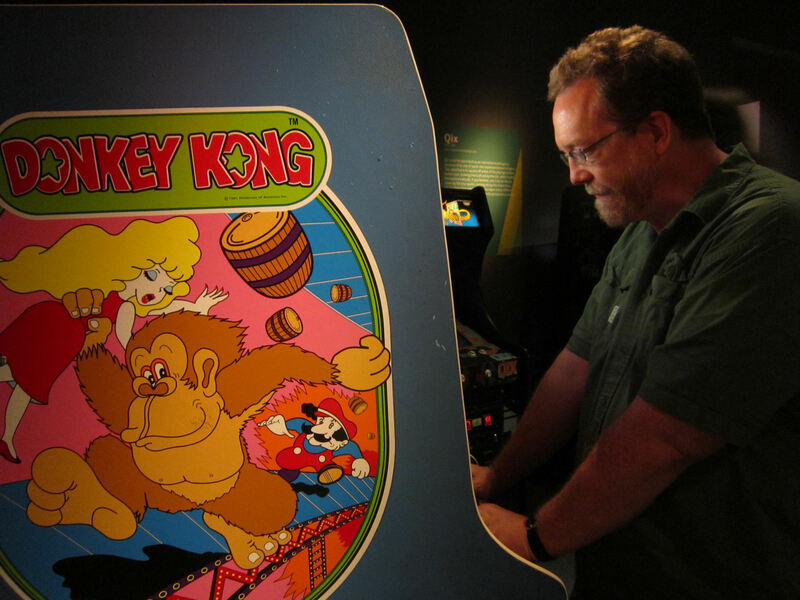 Donkey Kong wasn’t the first video game I ever played, but it was a blast showing my son what the oldies looked like, how loose joysticks could ruin performance, and how 8-bit loses its charm when it’s not lit brightly enough. Ah, memories.